Tumble down the rabbit hole to find yourself in… Zombieland. 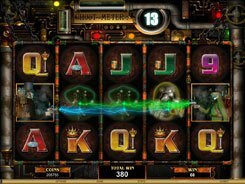 Microgaming has reinterpreted an immortal story by Lewis Carroll to create a spooky underground place populated by spine-chilling zombies. 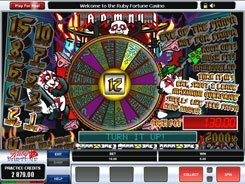 This five-reel machine has 25 paylines and a set of creepy symbols to fit the theme, with playing card symbols designed to look like tombstones. The coin size ranges from $0.01 to $0.2, with a maximum of 10 coins per line. Overall, your top wager per spin may climb up to $50. 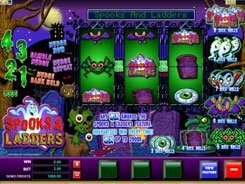 You will encounter some familiar characters turned into zombies, including a red-eyed Mad Rabbit, a sinister Cheshire Cat and an evil-looking girl named Alaxe. 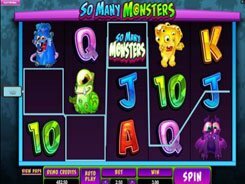 The top jackpot worth x2500 a line bet is awarded for five Alaxe icons occurred on an active payline. 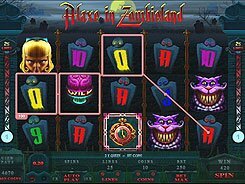 The slot has three types of scatters depicted by the Watch, Key and Teapot. 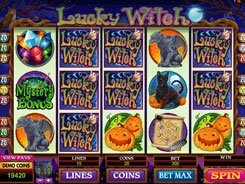 If three matching scatters appear on the reels, you get free spins, the Red Queen’s Adventure feature or the Gravestone feature – the last two being, in fact, pick-a-prize bonus games.